My rural island home in Washington State couldn’t be much further—geographically or culturally­—from Manhattan’s Wall Street. Last fall, when the first actions of Occupy Wall Street began, the movement seemed like an abstraction to me. After hearing Madeline Schaeffer’s podcast at Friend Speaks My Mind, I’m feeling more connected to this social and economic justice effort. Fueled by the role of Wall Street in creating an economic collapse and inspired by uprisings last spring in Egypt and Tunisia, Occupy Wall Street protesters brought their call for democracy to Liberty Square in Manhattan’s Financial District on Sept. 17, 2011. Soon, Occupy groups organized across the U.S. to “protest and change the corrosive power of major banks and multinational corporations over the democratic process.” All use a consensus-based collective decision-making tool known as a “people’s assembly,” that sounds much like a Quaker Meeting for Business. 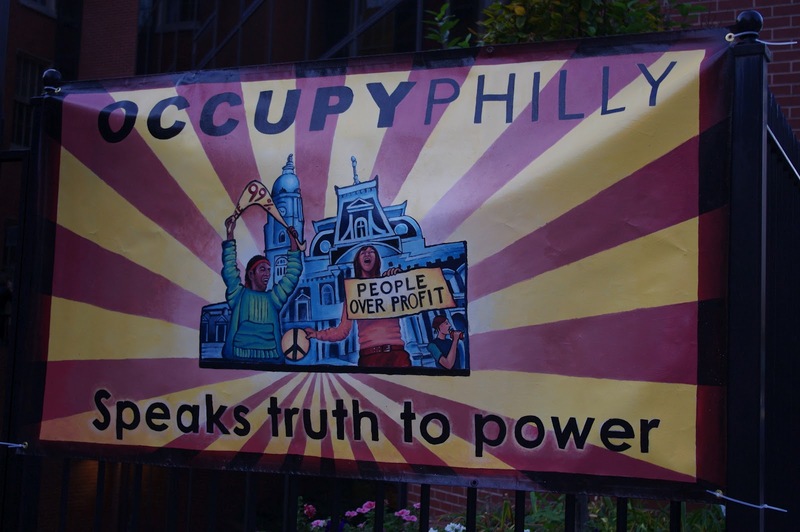 Friends and others in Philadelphia are using those tools to organize the upcoming Occupy National Gathering. From June 30 to July 4, the Occupy movement will convene in the vicinity of Philadelphia’s Independence Mall for a week of direct actions, movement building, and the creation of a vision for a democratic future. On July 5, the Gathering will conclude by joining Guitarmy (guitar-playing peace activists) for a 99-mile march from Philadelphia to Wall Street. Perhaps Friend Jon Watts will be there with them singing “Occupy Wall Street, Occupy Your Life,” a song that he performed at Occupy DC (http://www.jonwatts.com/2011/faithfulness-quakers-and-the-occupy-movement/). I’ll be 3000 miles away from the Gathering, but I’ll be singing along. Good! We can raise our voices together.